Leaders of three coin and precious metals hobby and professional groups are praising the Federal Trade Commission for acting on their suggested changes to the FTC’s 2010 online consumer advisory entitled "Investing in Gold? What’s the Rush?" "We basically just made minor changes to what was posted to make it accurate and more helpful to consumers. All of us in the rare coin and precious metals community share the same priority with the Federal Trade Commission: educating consumers about coins and precious metals," emphasized ICTA Executive Director Eloise Ullman who submitted proposed revisions to the FTC. "Useful suggestions were also received from Coin World Editor Beth Deisher and Jerry Jordan, Managing Editor of The Examiner newspaper in Beaumont, Texas who has extensively written about gold buying and selling. With clear-cut edits the FTC changed the tone of its advisory and it is a well-balanced report that now puts investing in gold in proper perspective with other types of investments," said PNG Executive Director Robert Brueggeman. "The government cannot confiscate your gold at any time. But some unscrupulous sellers say that the government may, indeed, confiscate gold, and that ‘reportable’ transactions lead to confiscation. Other crooked sellers claim that modern bullion coins produced by the U.S. Mint are subject to confiscation while historic or collectible coins aren’t. This claim sometimes leads some people to buy historic coins at prices that exceed their value. No federal law or Treasury Department regulation supports these contentions." 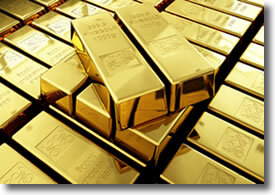 "Some sellers say that the government may confiscate gold. Others say that ‘reportable’ transactions lead to confiscation. Yet other sellers claim that modern bullion coins produced by the U.S. Mint are subject to confiscation while historic or collectible coins aren’t. These claims sometimes lead people to buy historic coins at prices that exceed their value. No current federal law or Treasury Department regulation supports any of these claims." With the FTC’s concurrence, the group now will tackle the remaining two, recently issued consumer advisories on rare coins and precious metals, "Investing in Bullion and Bullion Coins" and "Investing in Collectible Coins." "I compliment the efforts of this group in working with the FTC. This is a good example of how different elements of the hobby can come together for the mutual benefit of the hobby and the public," said Larry Shepherd, ANA Executive Director. Eloise Ullman, ICTA Executive Director.